Welcome South! 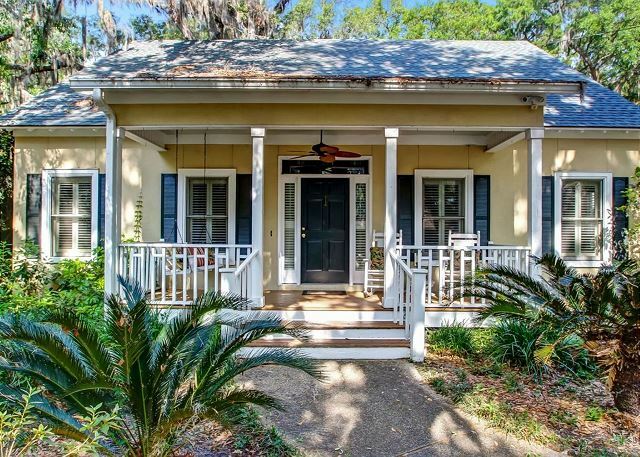 Imagine you and your family relaxing on the front porch, drink in hand, rocking to the gentle breeze as it sways the moss laden live oak trees of this Southern Living home. We want to share not only this marvelous island but this warm, inviting, smartly decorated and spacious, designer's personal home with you. Large, breezy, light filled spaces soothe your cares away. 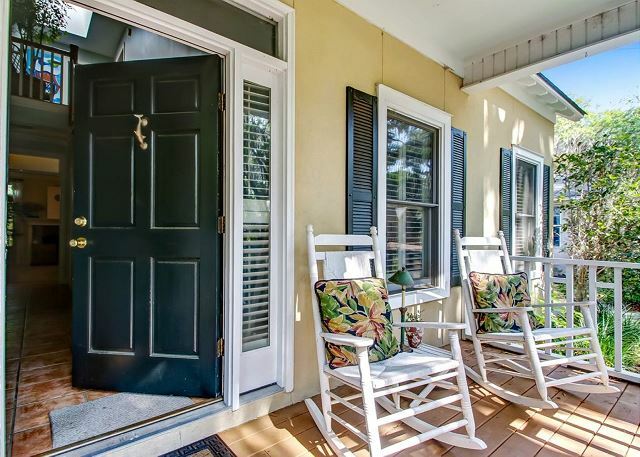 Minutes from the beach, restaurants, shopping, theatre, and all this southern scene has to offer, you'll enjoy the master on the main, with a luxurious master bath with Jacuzzi, and walk-in closet. A sumptuous queen bed in the spacious master beckons at the end of a fun filled day at the beach or sightseeing on the trolley. 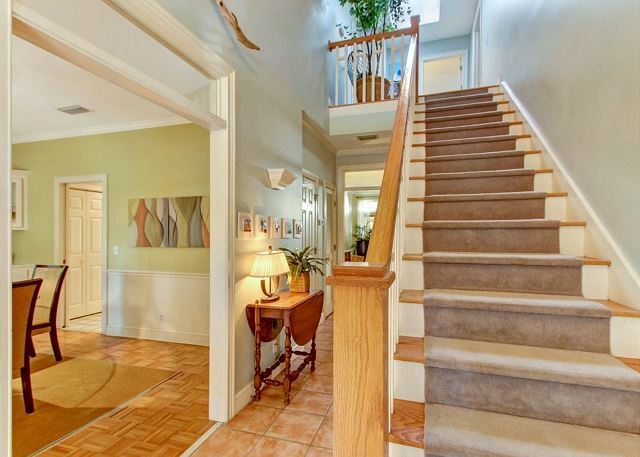 The kids will scurry upstairs where a skylight lights the way to two other bedrooms and full bath. 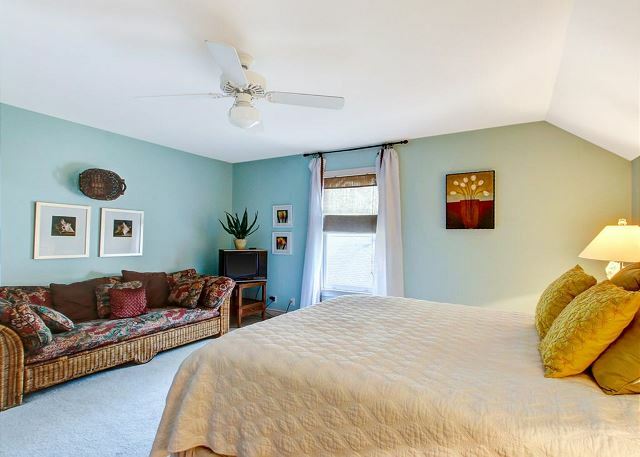 Friends or children will enjoy a second queen with a sitting sofa in one room and twins in the other bedroom. 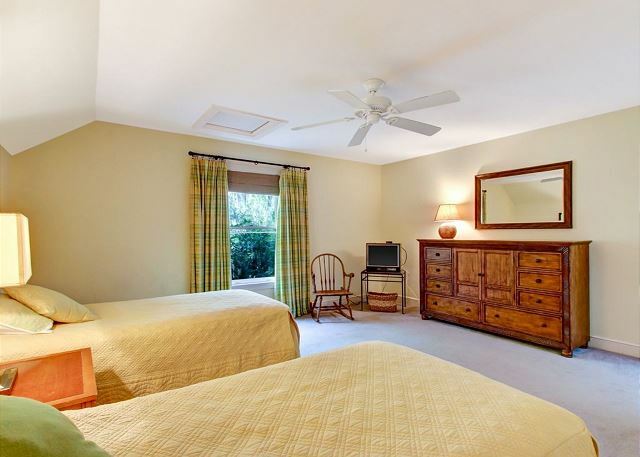 All rooms are large enough to accommodate blow up twin beds (provided) for teens or extra guests. 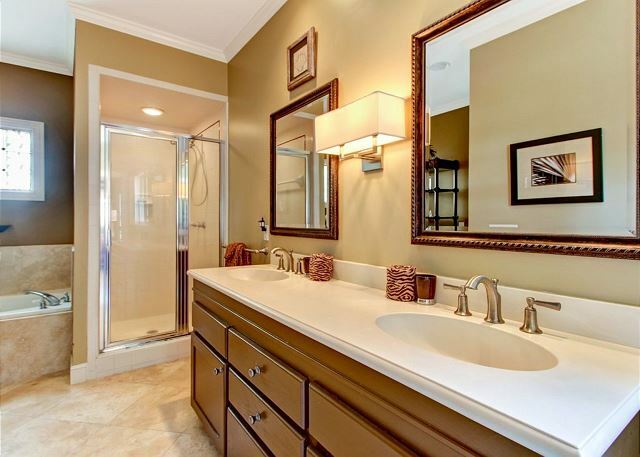 More walk in closets and a large bath with double sinks, and tub / shower serves the second level. Plan a trip to the pier, village, restaurants, and shopping while snacking in the breakfast nook bay window banquet, or put your feet up in the comfy, smartly decorated spacious great room with wood burning fireplace. 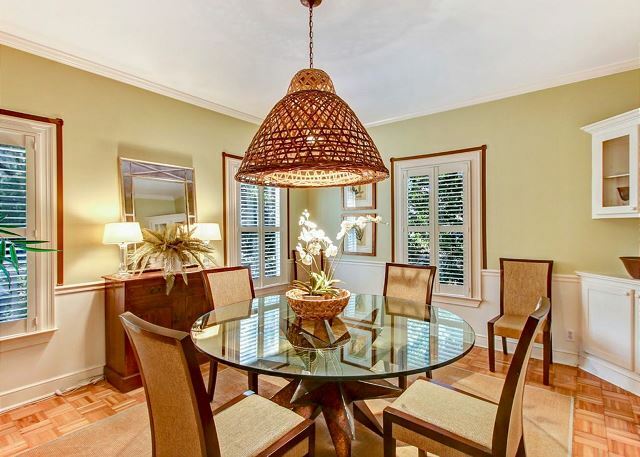 Gather at the large round dining table for games, take out, Sunday brunch or low country boil. 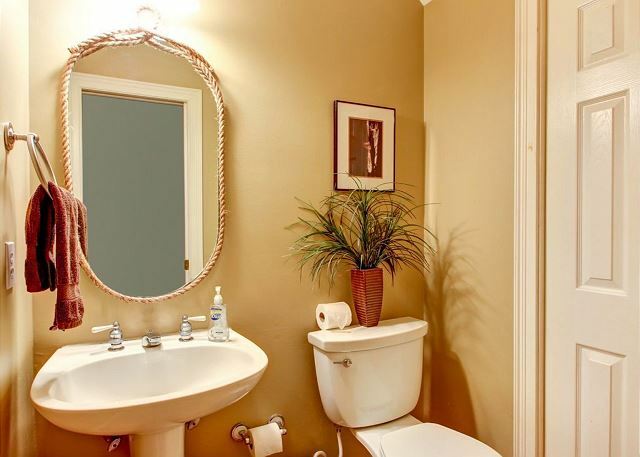 A powder room completes the main floor. Upscale, specialty lighting abounds throughout. The rear deck, built around an enormous live oak tree, sports a charcoal grill with grill tools and a patio set for dining. The private drive leads to a detached garage housing all beach needs - chairs, umbrellas, sand toys, kites. Had enough sand this morning? Grab some of the 4 bikes provided and set out exploring the wonderful paths and tree lined secluded areas of this old south, fantasy island. 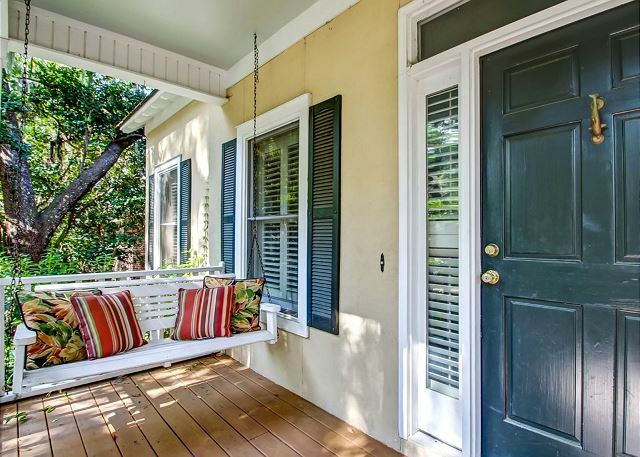 Come home to a glass or wine or sweet tea back on the front porch! No matter where you are now, come, put your feet up, and fall in love with this house and this fabulous island! This home was very comfortable with plenty of space, large bedrooms, and contained everything we needed for a long weekend. We enjoyed the home. It was very cute and quaint! I enjoyed this wonderful home with my adult daughters and their husbands, and small grandson. Well equipped, beautifully decorated. I rented this house for my groomsmen and I during my wedding weekend. The house was perfect with plenty of space for all of us to sleep and relax. The location was good also. It is walking distance to Southern Soul and only a short drive to the beach or pier. Home is beautifully decorated. Out family was very comfortable. It is a short drive to beach and village. Bikes, chairs, umbrellas, etc were available in garage. House was very clean. Management quickly responded to our needs. We enjoyed shopping and dining in the village. Great time! Perfect house, great location to everything. Drive time is around 7 minutes to everything. Very good. Great house. Kitchen well equipped. Property description accurate.Very clean. Would recommend this property. Would love to see the upstairs more equal to the master. We shared with another couple, and it really wasn't equal. Update upstairs and call it two masters. Food choices on SSI were excellent. It was the perfect retreat for my small family. We thoroughly enjoyed it beautiful home. 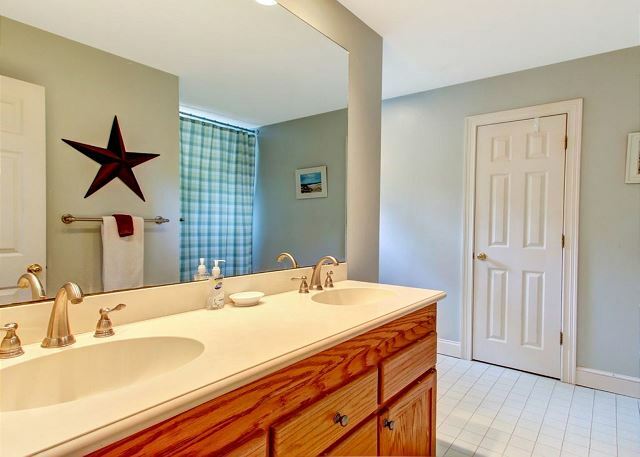 Everything was thought up so perfectly in the home from the utensils in the kitchen to the wonderful Jacuzzi tub. It will be something my family will come back and enjoy for many years to come! The home is beautiful. Great location. Once you get to know your way around you realize how close you are to everything. PLENTY of room and very clean. Loved the front porch and back deck. The garage is filled with fun things to take to the beach and bicycles if you like to ride around. 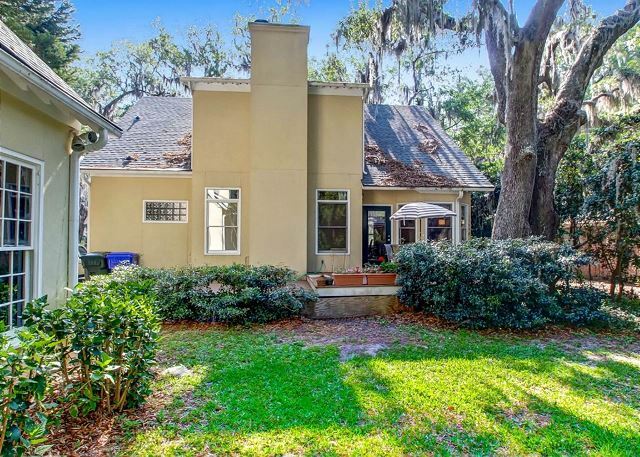 Lush landscape surrounds you...tons of moss covered live oak trees all through the neighborhood. Highly recommend. Pat Bennett, the owner was very accommodating. Jekyll island is a must see as is the old lighthouse. East Beach is beautiful. Most restaurants near the pier are great. This is the. second year we have spent Thanksgiving at this home. 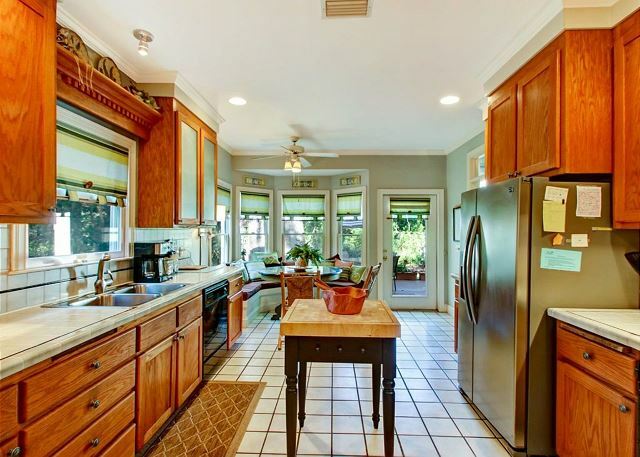 It is a great location, clean, well-stocked kitchen, and quiet neighborhood. 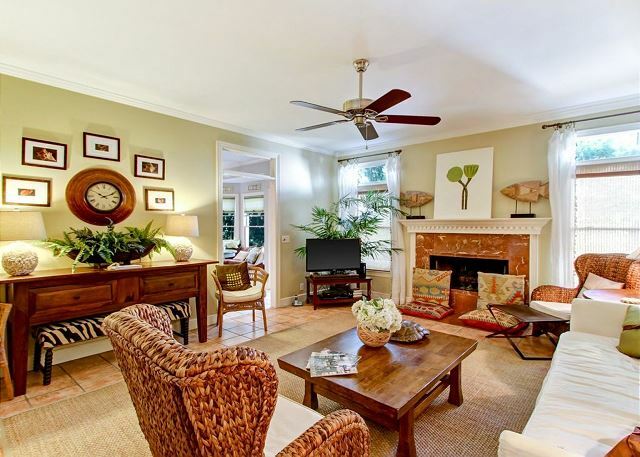 The home is beautifully decorated and very comfortable. We had 16 people for lunch, and had plenty of room- dining room, kitchen, front and back porches. Hope to. One back next year. This place is only about 40 min East of us, however trying to set up for a wedding, we wanted some form of comfort during our brief stay! We literally changed, showered and slept there. However it is definitely big enough for a family on a very quaint little street conveniently located. The bed was definitely worth it as it was really comfortable! Big plus! The clean up fee is a bit high considering they ask you to wash all your linens and take out all the trash, and there were still coffee grinds in the coffee maker when I attempted to make coffee, I received an email about not leaving the key, when in fact we actually returned it and no one had checked the box yet before emailing me asking questions about where the key was.. but again, we weren't there for more than 10 hours in a 2 day span and honestly was no big deal regardless.Its a beautiful home, beautifully decorated, well taken care of. Great Rental for the Family! The house was lovely and so relaxful! It was an awesome place to stay. 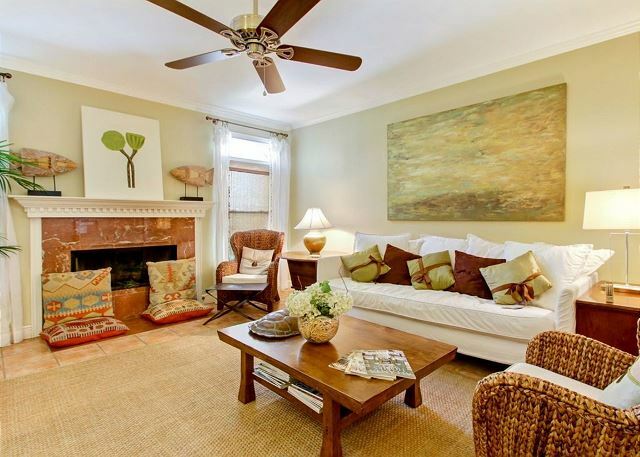 This beautifully appointed and charmingly decorated cottage provided a home away from home during the month of February. 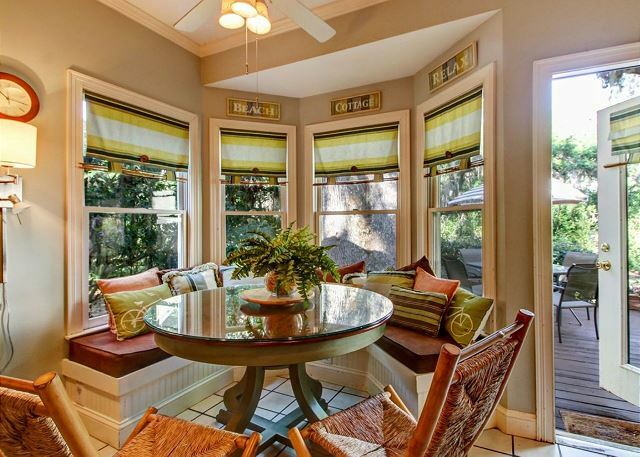 Mornings were spent with coffee on the comfortable porch and reading the newspaper at the cozy table in the kitchen. The spacious master bedroom and bath were as nice as an upscale hotel. The rental management company was so accommodating - they responded immediately to the news that the kitchen sink had a leak and that the previous renters had soiled the carpet. The house is splendidly located for virtually any activity: shops and restaurants are close by, the Village is only a short drive away, and the golf choices are also within an easy drive. Beach activities are easy to plan as well. 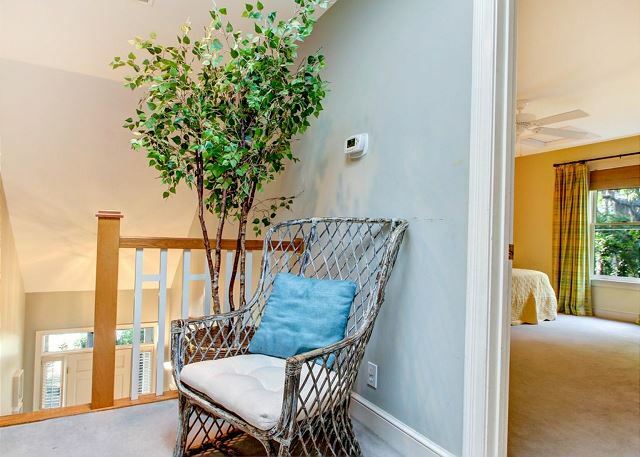 The house is situated on a quiet residential street with plenty of room for private backyard entertaining and ample space for off street parking. 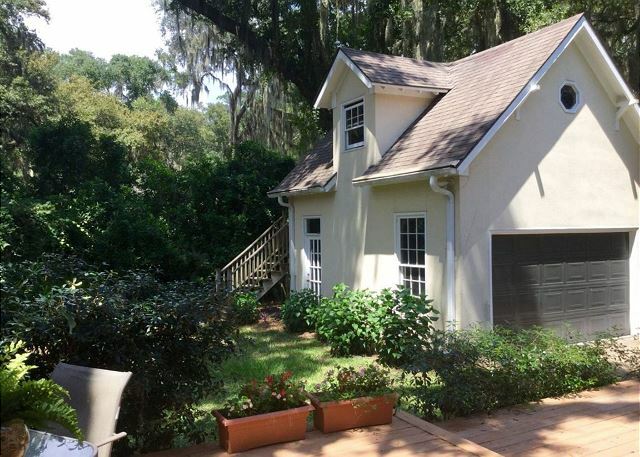 LOVELY HOME---QUIET AND COMFORTABLE-FULLY EQUIPPED. WOULD VISIT THE ISLAND AGAIN----MORE FOR GROWN CHILDREN----TEENS LOOKED FOR INSTANT EXCITING ATTRACTIONS.WE LOVED THE LOCALE,RESTAURANTS AND SCENERY. An awesome experience words can not describe!! We had a great stay! The house was beautiful and in a great location. Perfect place to spend some quality time with my son who is at UGA! Six women from all over the country reunited for a weekend getaway. The home was perfect for us. The bedrooms were large and sharing two bathrooms was not a problem. The kitchen was well stocked with dishwater and utensils. Most of our time was spent relaxing around the house and enjoying each other's company. The location on St. Simons was central to beach, restaurants, and dining. Everyone we met was friendly and helpful. I don't think anything could have made our stay better. Thank you Pat for sharing your beautiful home with us.